For the cyclist, see Paulo Ferreira (cyclist). For the footballer born in 1973, see Paulo Ferreira (footballer, born 1973). This name uses Portuguese naming customs. The first or maternal family name is Rebochoand the second or paternal family name is Ferreira. Paulo Renato Rebocho Ferreira, OIH (Portuguese pronunciation: [ˈpawlu fɨˈʁɐjɾɐ] ; born 18 January 1979) is a retired Portuguese footballer who played as a full-back. The Order of Prince Henry is a Portuguese order of knighthood created on 2 June 1960, to commemorate the quincentenary of the death of the Portuguese prince Henry the Navigator, one of the main initiators of the Age of Discovery. Minor reforms of the constitution of the Order occurred in 1962 and 1980. After starting out at Estoril, he went on to spend the vast majority of his 16-year professional career with Porto and Chelsea, signing with the latter in 2004 for €20 million. He won several major titles with both clubs, including two Primeira Liga titles, three Premier League trophies and the 2004 and 2012 editions of the Champions League. Grupo Desportivo Estoril Praia, commonly known as Estoril, is a Portuguese sports club from Estoril, Cascais, Lisbon. Founded on 17 May 1939, its football team currently plays in LigaPro and hold home games at the Estádio António Coimbra da Mota, with a seating capacity of 8,015. As a sports club, Estoril has departments for football, futsal and basketball. Ferreira earned 62 caps for the Portugal national team between 2002 and 2010, playing at two European Championships and two World Cups and finishing as runner-up at Euro 2004. Born in Cascais, Lisbon District, Ferreira started his career in the Segunda Liga with G.D. Estoril Praia. In the following two seasons he was relatively played, representing the club in both that and the third divisions. Cascais is a municipality in the Lisbon District of Portugal, located on the Portuguese Riviera. The population in 2011 was 206,479, in an area of 97.40 km2. Cascais is a major tourist destination and has many international residents. Lisbon District is a district located in the South Central Portugal, the district capital is the city of Lisbon, also the national capital. From its creation until 1926, it included the area of the current Setúbal District. The Segunda Divisão Portuguesa was a football league situated at the third level of the Portuguese football league system. The division had previously been the second level of the Portuguese pyramid but, with the creation of the Segunda Liga in 1990–91, it became the third level. The competition merged with the Portuguese Third Division at the end of the 2012–13 to form a new enlarged third level league, the Campeonato Nacional de Seniores. Ferreira joined Vitória de Setúbal for 2000–01, scoring two goals in 33 games during the campaign to help his team promote to the Primeira Liga after finishing in third place. His first appearance in the competition took place on 13 August 2001, in a 1–3 away loss against C.S. Marítimo. Vitória Futebol Clube is a Portuguese sports club from the city of Setúbal. Popularly known as Vitória de Setúbal, the club was born under the original name Sport Victoria from the ashes of the small Bonfim Foot-Ball Club. The 2000–01 Segunda Liga season was the 11th season of the competition and the 67th season of recognised second-tier football in Portugal. As the LPFP took over all nationwide professional leagues the competition was renamed from Segunda Divisão de Honra to Segunda Liga. Ferreira moved to FC Porto in the summer of 2002, signed by coach José Mourinho  who converted him from right midfielder to right-back. He only missed two league games during his two-year stint, as the club won back-to-back national championships. José Mário dos Santos Mourinho Félix, GOIH, is a Portuguese professional football coach and former player who most recently served as manager of Manchester United. As a manager, Mourinho has won 25 major honours, making him one of the most successful managers of all time. He was named Portuguese Coach of the Century by the Portuguese Football Federation (FPF) in 2015, and holds the distinction of being the first coach to have spent more than £1 billion on transfers. Due to his tactical knowledge, charismatic and controversial personality, and what his opponents regard as an emphasis on getting results over playing beautiful football, he has drawn comparisons, by both admirers and critics, with Argentine manager Helenio Herrera. He is regarded as one of the greatest managers of all time. On 22 June 2004, Ferreira joined Chelsea for €20 million (£13.2 million),   reuniting at Stamford Bridge with both Mourinho and former Porto teammate Ricardo Carvalho, both of whom were also signed in the off-season. He impressed greatly in his first year, appearing in 42 matches overall and helping to the Premier League title after a 50-year wait. Following physical problems that afflicted José Bosingwa, Ashley Cole and Branislav Ivanović, Ferreira was given a more consistent role as a starter as Yuri Zhirkov featured in the other defensive wing, most significantly in the 7–1 win against Aston Villa  and the 2–1 victory at Manchester United. He still contributed with 20 official appearances, helping his team win the double. Ferreira's contract ran through the summer of 2013, and both player and club confirmed that they would not renew it upon its expiration. He made his last appearance in a league fixture with Everton on 19 May 2013, coming on as a late substitute to a round of applause as the 2–1 win secured the hosts a spot in the Champions League group stage. Afterwards, teammate Frank Lampard addressed the crowd and praised the 34-year-old defender, who announced he was retiring from professional football and thanked the fans for their continued support;  over nine seasons, he appeared in 227 official contests. Ferreira made two appearances for Portugal in the 2006 FIFA World Cup: in the 0–1 semi-final loss against France, he replaced injured Miguel during the second half,  and started the third place play-off against the host country Germany (1–3 defeat). Subsequently, he faced competition from Bosingwa and Miguel for the right-back slot, and was often deployed at the opposite flank following the retirement of Nuno Valente. 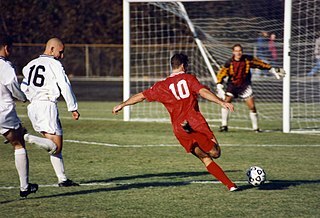 Estoril Segunda Liga 1997–98 0 0 ? ? – – ? ? 1998–99 15 0 ? ? – – ? ? Second Division 1999–2000 21 2 ? ? – – ? ? Vitória Setúbal Segunda Liga 2000–01 33 2 ? ? – – ? ? Primeira Liga 2001–02 34 0 ? ? – – ? ? Anderson Luís de Souza, known as Deco, is a retired professional footballer who played as an attacking midfielder or central midfielder. Nuno Ricardo de Oliveira RibeiroOIH, known as Maniche, is a Portuguese retired professional footballer who played as a central midfielder. Ricardo Alberto Silveira de CarvalhoOIH is a retired Portuguese professional footballer who played as a centre back. Nuno Jorge Pereira da Silva Valente, OIH is a Portuguese former footballer who played as a left back, and a manager. Ricardo Andrade Quaresma Bernardo is a Portuguese professional footballer who plays as a winger for Turkish club Beşiktaş J.K. and the Portugal national team. José Bosingwa da Silva, known as Bosingwa, is a Portuguese retired footballer who played as a right back. Pedro Emanuel dos Santos Martins Silva, known as Pedro Emanuel, is a Portuguese retired footballer who played mainly as a central defender, and is the coach of Saudi Arabian club Al-Taawoun FC. Manuel Jesualdo Ferreira is a Portuguese football manager who is the current manager of Qatari club Al Sadd SC. Marco Júlio Castanheira Afonso Alves Ferreira is a retired Portuguese footballer who played as a winger. Raul José Trindade Meireles is a Portuguese former footballer who played as a midfielder. Henrique Hilário Meireles Sampaio, commonly known as Hilário, is a Portuguese retired footballer who played as a goalkeeper. 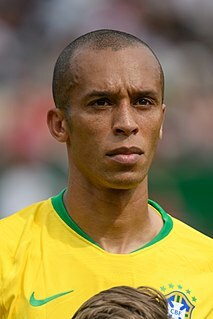 João Miranda de Souza Filho, also known as João Miranda, or simply Miranda, is a Brazilian footballer who plays as a central defender for Italian club Inter Milan and the Brazilian national team. 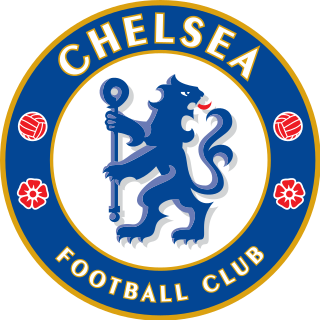 The 2004–05 season was Chelsea F.C. 's 91st competitive season, 13th consecutive season in the Premier League and 99th year as a club. Managed by José Mourinho during his first season at the club, Chelsea won the Premier League title and the League Cup. The season was historic for the vast number of records set during the season. The list of achievements include; most away wins in a season (15), most clean sheets kept in a season (25), fewest goals conceded away in a season (9), most wins in a season (29), most consecutive away wins (9), fewest goals conceded in a season (15) and most points in a season (95). The 2004 UEFA Super Cup was an association football match between Porto of Portugal and Valencia of Spain on 27 August 2004, held at the Stade Louis II in Monaco. 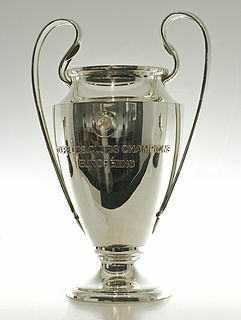 The match was the 29th annual UEFA Super Cup contested between the winners of the UEFA Champions League and UEFA Cup. Porto were appearing in the Super Cup for the third time; they won the competition in 1987 and lost in 2003. Valencia were appearing in the competition for the second time; their previous appearance in 1980 resulted in a victory. 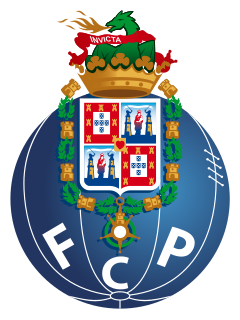 Futebol Clube do Porto, an association football team based in Porto, is the most decorated Portuguese team in international club competitions. They have won two UEFA Champions League titles, two UEFA Europa League titles, one UEFA Super Cup, and two Intercontinental Cups, for a total of seven international trophies. In addition, they were Cup Winners' Cup runners-up in 1984 – their first European final – and lost three other UEFA Super Cup matches, in 2003, 2004, and 2011. Ruben Ira Loftus-Cheek is an English professional footballer who plays as a midfielder for Premier League club Chelsea and the English national team. ↑ "Player details". Sky Sports . Retrieved 28 April 2014. 1 2 "Chelsea to sign Ferreira". BBC Sport. 23 June 2004. Retrieved 22 May 2013. ↑ "Uefa Cup final player ratings". BBC Sport. 21 May 2003. Retrieved 3 October 2017. ↑ "Porto fulfil treble dream". UEFA. 15 June 2003. Retrieved 22 May 2013. ↑ "Porto perform to perfection". UEFA. 27 May 2004. Retrieved 22 May 2013. ↑ "Facto relevante" [Relevant fact](PDF) (in Portuguese). FC Porto. 22 June 2004. Archived from the original (PDF) on 5 December 2010. Retrieved 25 September 2010. ↑ "Chelsea 3–1 Colchester". BBC Sport. 19 February 2006. Retrieved 1 September 2009. ↑ Winter, Henry (8 December 2006). "What more can I wish for at Chelsea?". The Daily Telegraph . Retrieved 1 February 2016. ↑ McKenzie, Andrew (19 May 2007). "FA Cup final – Chelsea 1–0 Man Utd". BBC Sport. Retrieved 22 May 2013. ↑ "Paulo signs for five". Chelsea F.C. 18 February 2008. Archived from the original on 28 April 2014. Retrieved 28 April 2014. ↑ "Deco digital solution". Chelsea F.C. 16 June 2008. Archived from the original on 28 April 2014. Retrieved 28 April 2014. ↑ "Ferreira to miss Chelsea run-in". BBC Sport. 6 March 2009. Retrieved 1 February 2016. ↑ "Chelsea 1–0 QPR". BBC Sport. 23 September 2009. Retrieved 1 February 2016. ↑ Fletcher, Paul (2 December 2009). "Blackburn 3–3 Chelsea". BBC Sport. Retrieved 20 May 2012. ↑ "Chelsea 7–1 Aston Villa". ESPN Soccernet. 27 March 2010. Retrieved 28 April 2014. ↑ "Manchester United 1–2 Chelsea". ESPN Soccernet. 3 April 2010. Retrieved 28 April 2014. ↑ Pleat, David (5 April 2010). "Paulo Ferreira's freshness kept Ryan Giggs pinned back". The Guardian . Retrieved 28 April 2014. ↑ "Chelsea 3–1 Birmingham". BBC Sport. 20 April 2011. Retrieved 1 February 2016. ↑ "Paulo Ferreira: I like to do my job and go home to my family". FourFourTwo. 1 February 2016. Retrieved 1 February 2016. ↑ "Andre Villas-Boas alienated Chelsea veterans by mistreating Nicolas Anelka and Alex". New England Sports Network. 23 February 2012. Retrieved 20 May 2012. ↑ Jackson, Jamie (21 September 2011). "Chelsea 0–0 Fulham (Chelsea win 4–3 on penalties)". The Guardian. Retrieved 22 May 2012. ↑ Winter, Henry (23 December 2011). "John Terry leads resilient Chelsea as Harry Redknapp's vibrant Tottenham held". The Daily Telegraph. Retrieved 20 May 2012. ↑ Ashton, Neil (25 December 2011). "Chelsea star Ferreira becomes latest man in mask after face fracture". Daily Mail . Retrieved 11 June 2012. ↑ Lawton, Matt (27 March 2012). "Benfica 0 Chelsea 1: Advantage Chelsea as Kalou strikes on perfect night for Di Matteo". Daily Mail. Retrieved 20 May 2012. ↑ White, Duncan (19 May 2012). "Bayern Munich 1 Chelsea 1 aet; (Chelsea win 4–3 on pens): match report". The Daily Telegraph. Retrieved 20 May 2012. ↑ Wallace, Sam (1 May 2013). "Chelsea offer Frank Lampard new deal after contract re-think". The Independent . Retrieved 22 May 2013. ↑ Fifield, Dominic (19 May 2013). "Chelsea grateful to long-overdue Torres as Everton are finally seen off". The Guardian. Retrieved 22 May 2013. ↑ Schilken, Chuck (21 May 2013). "Watch goal-scoring toddler upstage a retiring Chelsea veteran". Los Angeles Times . Retrieved 22 May 2013. ↑ "Chelsea ambassador Ferreira for Digicel Kickstart Academy". The Jamaica Observer . 24 October 2014. Retrieved 3 April 2016. ↑ "Nathan Aké on Watford, Mourinho and the Chelsea loanees' WhatsApp group". The Guardian. 15 April 2016. Retrieved 16 April 2016. ↑ "Portugal hold England". BBC Sport. 7 September 2002. Retrieved 1 February 2016. ↑ "Greece spoil party for hosts Portugal". UEFA. 12 June 2004. Retrieved 22 May 2013. ↑ McNulty, Phil (4 July 2004). "Greece win Euro 2004". BBC Sport. Retrieved 22 May 2013. ↑ "Portugal 0–1 France". BBC Sport. 5 July 2006. Retrieved 22 May 2013. ↑ "Germany 3–1 Portugal". BBC Sport. 8 July 2006. Retrieved 22 May 2013. ↑ "Portugal squad for Euro 2008". The Guardian. 28 May 2008. Retrieved 22 May 2013. ↑ "Portugal ousted by German power show". UEFA. 19 June 2008. Archived from the original on 27 October 2010. Retrieved 22 May 2013. ↑ "World Cup 2010: Official Portugal squad – Ze Casto[sic] dropped from Seleccao". Goal. 1 June 2013. Retrieved 22 May 2013. ↑ "Ivory Coast 0–0 Portugal". BBC Sport. 15 June 2010. Retrieved 22 May 2013. ↑ "Chelsea's Paulo Ferreira quits Portuguese national team". BBC Sport. 31 August 2010. Retrieved 22 May 2013. ↑ "Paulo Ferreira". Soccerway. Retrieved 31 January 2016. ↑ "Paulo Ferreira » Club matches". Worldfootball. Retrieved 19 October 2010. ↑ "Paulo Ferreira". EU-Football.info. Retrieved 31 January 2016. 1 2 3 "Paulo Ferreira – Trophies". Soccerway. Retrieved 7 December 2016. ↑ "Paulo Ferreira: Overview". Premier League. Retrieved 19 April 2018. ↑ "Selecção distinguida pelo Duque de Bragança" [National team honoured by Duke of Bragança] (in Portuguese). Cristiano Ronaldo News. 30 August 2006. Retrieved 30 August 2006. Wikimedia Commons has media related to Paulo Ferreira .